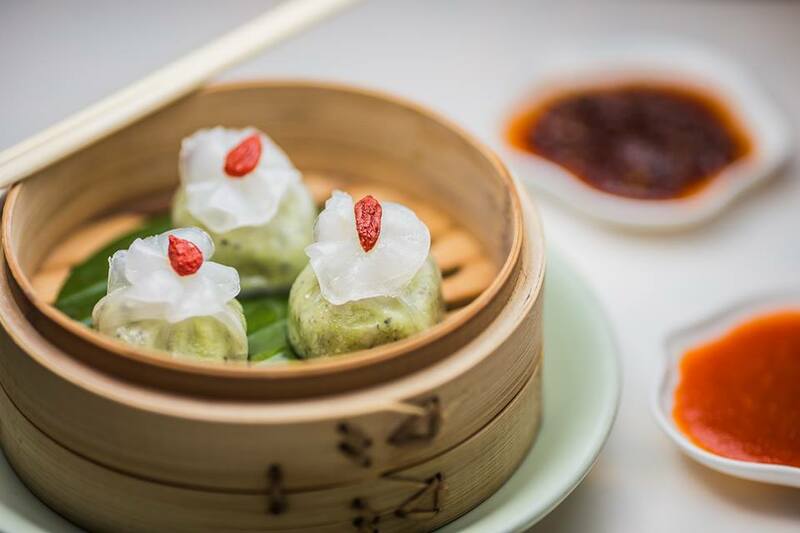 Yauatcha City is now open for Sundays with their special yum cha menu. We head down to see how well they do this traditional Chinese dining experience. Londoners constantly underrate yum cha – or worse still, have never even heard of it. 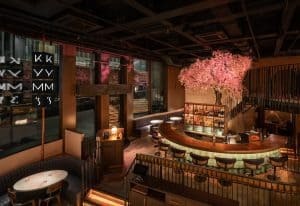 It is one of the best alternative brunches that can be experienced – and Yauatcha City’s new Sunday yum cha menu is the perfect example of exactly what the uninitiated are missing out on. First off, for those who don’t know, yum cha is traditional dim sum – think of it as Chinese tapas – served with tea. Simple enough so far. 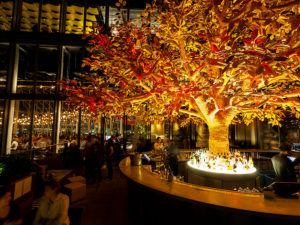 But Yauatcha City goes that extra step, pairing its bounty with wine, cocktails or a whole flight of specially made Bloody Marys. We highly recommend you go for the latter. Prepare yourselves for dumplings that look like works of art. Each Bloody Mary is made with a different spirit; vodka, gin or tequila, and all are seasoned with Chinese spices. Each will come out, one after the other, as you make your way through a smorgasbord of dumplings, wontons, buns and desserts. Choosing what to chow down on is all part of the fun, too. For £29 per person, each guest can choose six items, ticking them off on a little paper slip. There are countless choices so be sure to ask the servers what each dish comprises to avoid overlap. For those unfamiliar with Chinese food, the names of the dishes can be very confusing. Traditionally, yum cha is carted around the room on a small trolley so that diners can grab whatever looks best to them. But Yauatcha brings a little order to the whole affair by removing this part of the experience. Everything you’ve ordered will instead come out bit by bit, when it is ready. This may diminish the dining experience somewhat, but it is hard to mark down Yauatcha too harshly given the consumption tendencies of its City clientele. Besides, you won’t be dwelling on such feelings for long, especially once the dishes start arriving at the table. Yauatcha City is full of waiters rushing around with bamboo baskets full of incredible dim sum. Bamboo baskets land with a flourish, the lids removed to reveal the colourful creations the chefs have been working on since 6am that same day. The decadent seafood and black truffle dumplings are wrapped in fluorescent casings, stained bright pink from beetroot. Full of flavour but not overrun by the truffle taste, these go down as our favourites. 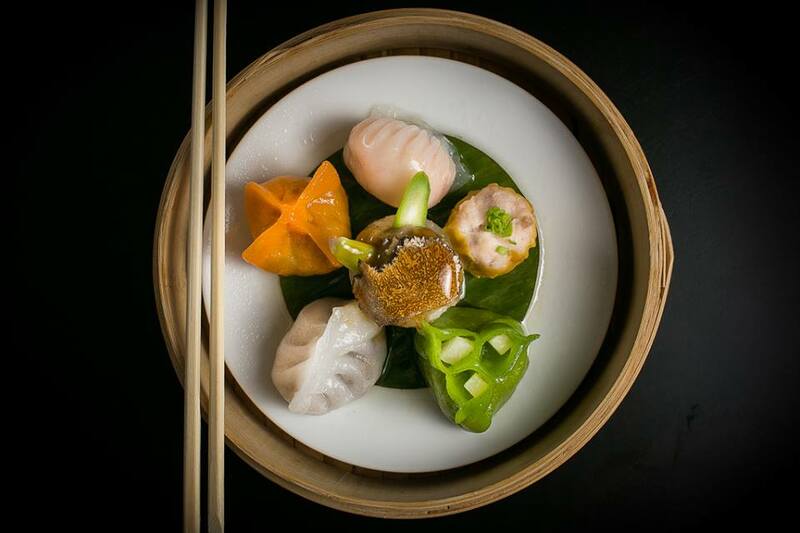 Each fried and steamed dumpling is uniquely flavoured and seasoned, filled with only the finest ingredients. Before the mind can fully comprehend the deliciousness you have just consumed, the buns slide under your nose, ready to be filled with whatever takes your fancy. You’ll be overcome with choice on Sundays at their Broadgate Circle location. Small cuts of wagyu beef and tender pork belly are paired alongside black buns and a few simple toppings. The pork melts in your mouth while the beef falls apart at the slightest touch. Next up is the prawn cheung fun. Consider dumplings as ravioli and cheung fung is not far off cannelloni, only far more silky and slippery. The long casing stuffed with prawns is cut in half at the table and drizzled with soy sauce. The only real struggle – besides settling on your meals of choice – is devouring the whole thing with chop sticks. Chefs start making the dim sum dishes as early as 6am to be eaten that day. They are super fresh and tasty. Following Bloody Mary number three the desserts begin to sweep in front of you. We opt for the chocolate and jasmine buns ornately decorated with edible drawings of yellow flowers. Break into it as you would the perfect poached egg, releasing hot and runny chocolate that oozes out on to the plate. Mop it up with the remaining sweet bun, order an espresso martini for good measure and sit back, overlooking Broadgate Circle, as you fall into a blissful self-induced food coma. Yup, they don’t miss a beat here. 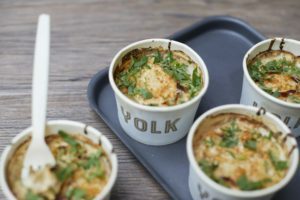 So swap the bacon bun and avocado on toast for something altogether more special on your next brunch outing.